When will someone stand up to the bully in the room? He roves around in intimidating manner boasting how kind he is. Hey, he can make friends without being evil. But bully is anything but good. That's how I feel about Google this fine Spring day. Yesterday, "Google Play", the renamed Android Market, popped up on the black bar adorning my Google search page, with a beaconing red -- or is it orange -- "New". The service is now front and center with other Google services hawked from search, spotlighting an ongoing trend of aggressive integration that has rapidly accelerated under Larry Page's leadership. Microsoft spent nearly a decade under house arrest for doing less. Google undeniably has dramatically increased cross-service, cross-product integration, particularly since the Google+ limited launch last summer. Just look at how much the Google search page has changed -- the company's other services are far more visible, from the black bar added nearly a year ago. There is heated controversy about some of the integration, such as "Search Plus Your World", or even +1. The question to ask: Is Google improving the quality of search and ancillary services by connecting them together, or extending monopoly into adjacent markets? The answer is as much about leadership as anything else and how Page and his subordinates live up to one of Google's oft-stated philosophies, of which there are 10: "You can make money without doing evil". The bully in the room boasts the same. 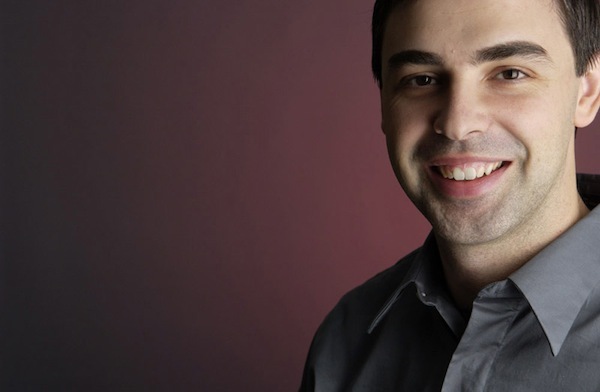 I've never met Larry Page. I can only judge his character by how he runs Google. It's a better company since his ascension to chief executive a year ago next week. But are you better off? Google is better because it's leaner; Page axed many products and services during 2011 that weren't core to future business. Google also has created a digital lifestyle around search and mobile services, for anyone willing to buy into the entire experience. Under Page, the search and information giant has accelerated release of core products and services. Iteration is fast-paced, compared to every non-startup. Google search is hardly recognizable from a year ago -- the black toolbar, integrated social and seemingly daily tweaks to the algorithm are among the examples. Then there is Google+, which debuted not long after Page resumed CEO duties but surely was conceived during the transition period preceding it. Some reader likely will comment that no company could make the changes Google is without 12-18 months previous product development -- at least. But Google isn't any other company. Look at how much Android and Chrome have changed since their late 2008 introductions. New Chrome revs come about every six weeks! Everything comes back to search and how it anchors Google's integration push. Search is Google's lifeblood, accounting for the overwhelming majority of revenues. Google search also is a monopoly. The company's US search share was 66.4 percent in February, according to comScore. That's up from 55.2 percent in July 2007. In many other geographies Google's share is 70 percent or more. Asked which search engine they use most often, 83 percent of search users say Google. The next most cited search engine is Yahoo, mentioned by just 6 percent of search users. When we last asked this question in 2004, the gap between Google and Yahoo was much narrower, with 47 percent of search users saying Google was their engine of choice and 26 percent citing Yahoo. In the United States being a monopoly isn't illegal, and Google can rightly argue, as Microsoft did, to achieving market dominance through fair competition. It's what comes after that matters -- what Google does now that might be considered "doing evil". US trustbusters prosecuted Microsoft for numerous antitrust violations, in a case filed in May 1998. Among the charges: Microsoft used its dominance in PC operating systems to gain unfair advantage into the adjacent browser market. The Justice Department and 20 states (initially) targeted Microsoft's integrating, or in legal parlance tying, Internet Explorer to Windows. Microsoft settled the case in November 2001, and the judge formally imposed government oversight a year later. European authorities went further with their tying charges, ruling against Microsoft and compelling it to release versions of the operating system without IE and Windows Media Player. The question then: Is all this integration, which makes Google better, really anticompetitive -- a monopolist bullying others and in process limiting consumer choice and stifling innovation? There's no easy answer to that question without a case going to court. But I'll ask some antitrust experts for a future story -- and I can confidently say there won't be consensus among them. US antitrust law allows lots of rough play. Then there is pace of Google's own innovation. As an end user, I find much of this Google integration to be beneficial. But as a reporter long covering the tech industry, I am disturbed. Microsoft's problems came from a breakdown of leadership. As CEO, Bill Gates led the company to dominate the PC operating system and desktop productivity software markets. But he also overly obsessed about competitors, with AOL and Netscape top concerns during the mid to late 1990s. I wonder if Page has the same character flaw. Because if I look closely at where and what Google integrates, social is core. Does that represent Page looking to the future and seeing search being social or protecting Google's monopoly against a dangerous competitor: Facebook. The social network has over 850 million users, the majority of whom share the kind of information Google can only dream about obtaining. There are many measures of Facebook's success, but one of the most important is engagement. Online Americans spend just shy of 7 hours on Facebook each month, compared to about 90 minutes for Google sites. Much of Google's integration push is about increasing engagement, and Google+ is an anchor to the strategy. Larry Page himself assumed command to right this wrong. Social became state-owned, a corporate mandate called Google+. It was an ominous name invoking the feeling that Google alone wasn’t enough. Search had to be social. Android had to be social. YouTube, once joyous in their independence, had to be, well, you get the point. Even worse was that innovation had to be social. Ideas that failed to put Google+ at the center of the universe were a distraction. Is Google now Facebook-obsessed? That's how it looks to me as an outsider. Over-zealous competitor obsession led Microsoft to nearly 10 years of US government oversight that stifled innovation there. Or perhaps Google just sees social as the future of search. Regardless there's a whole lot of integration going on that already has raised antitrust concerns, in Europe at least. I'll end asking: Does all this newfangled integration -- Android, Chrome, Google+, +1, search and other services benefit you?